The Baptist preacher just finished his sermon for the day and proceeded toward the back of the church for his usual greetings and handshaking as the congregation left the church. After shaking a few adult hands he came upon the seven year old son of one of the Deacons of the church. "Money," said Jonathan with a big smile on his face, "It's for you!" 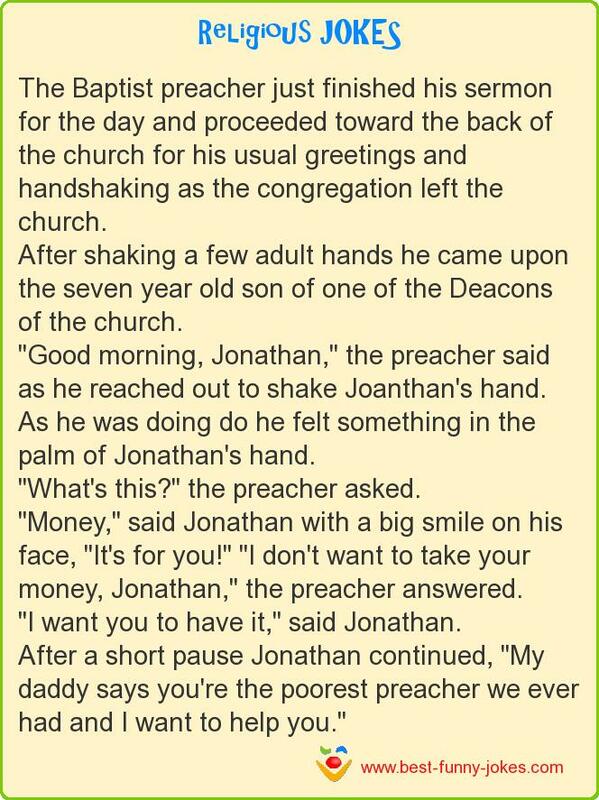 "I don't want to take your money, Jonathan," the preacher answered. "I want you to have it," said Jonathan. After a short pause Jonathan continued, "My daddy says you're the poorest preacher we ever had and I want to help you."